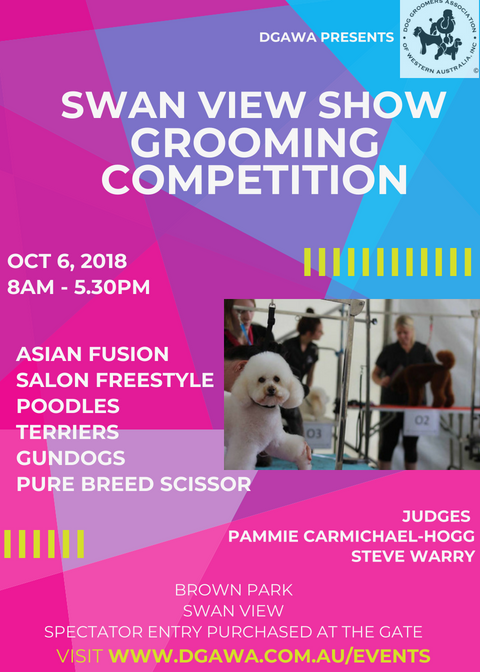 Swan View Show Grooming Competition- Entries open! – Dog Groomers Association of Western Australia Inc.
Swan View Show, Brown Park, Swan View. 5pm Judging and Winners Announced. 5.20pm Best in Show Line up.